Exclusive "Smaller Sized" Home Film Develop Kits! Whether you live in a home or apartment, we all have limited space dedicated for our home processing. Many traditional chemistry mixes to a minimum of 1 us gallon. The FPP Team and I have designed a FPP-Exclusive - smaller-sized chemistry for folks who don't need a big 'ol gallon! Caffenol Concoction - A natural "coffee" developer. FPP Archival Permanent Wash - After you fix your negatives, the Archival Wash cuts down that water wash time and preserves your negs. Leslie Lazenby recommended! FPP Foto Flow Concentrate - Foto Flow reduces spotting on your negs. NEW TO HOME DEVELOPING? ALL-IN-ONE DEVELOP-AT-HOME STARTER KITS! If you're brand new to home processing, the easiest way to get started is to purchase one of our STARTER KITS. We recently reduced the price and offer the kit as an ALL-IN-ONE COLOR or ALL-IN-ONE BW E6 FPP Rapid E6 KitKit. The important thing to remember, once you purchase this kit, you're set for life! The only thing additional that you will need is chemistry (once the enclosed chemistry is depleted). Also note, if you purchase the BW Kit, you can also easily use the same tank, reels and supplies to process your color film (and vice-versa). Once you have the basics, you can try different chemistry. 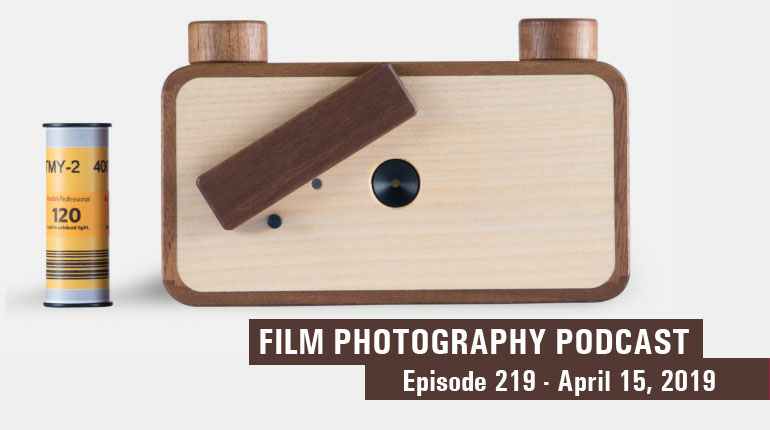 Leslie Lazenby gives an audio presentation on home chemistry on our Film Photography Podcast Episode 126! Worth a listen. If you've decided to develop your own negs, you'll need a scanner. You can use a traditional flat bed scanner (like the highly recommended Epson v700 or v800) or how about using your Smart Phone!!?? There's a new Kickstarter for a device called PIXL-LATR! Check it out! Note that the Epson v700 is no longer available new but you can buy a refurbished or previously owned on e-bay. The v800 is available new on-line.